How to best showcase the content on my website? I know every blogger or website owner (including me!) had asked himself/herself at least once during their blogging career. While writing trustworthy and good content is the large part of the mission of blogging, it’s still the half of the work. Besides writing a good content on the regular basis, you also need to think of the ways of how to display it. You should enable your website visitors to get the most out of it. Of course, there is no one-size-fits-all way that will work for every website, however, there are some solutions that a lot of websites will greatly benefit when implementing them. Luckily WordPress plugins give us a sea of opportunities in terms of managing and organizing our websites, and content delivery is not an exception. I’ve handpicked 4 top WordPress plugins that can greatly help you show your content in the best way possible. They are all free and extremely user-friendly. With Slider WD plugin you can create responsive and highly configurable sliders in the theme header or anywhere on the page that you want. Your website visitors will instantly see the content that you are about to offer them, as you can add image, text and media layers to your slides and show your best content up front. The sliders can be added as widgets as well. It is incredibly feature-rich and very easy to set up. As you create your sliders, you have the possibility to add different transition effects, set time for effect changes, choose the order of the slides, and duplicate the slides and many other options. With the custom CSS editor, you can add more styling features to your slides. There is also text and image watermarking possibility to make your slides even more impressive. Widgets are a great way to show any part of your content in the most visible way. The best thing about widgets is that you can locate them anywhere in the page and showcase the content you want. So why not to use them for your best interest. SiteOrigin Widgets bundle is literally a bundle of great widgets and also a framework to code your own widgets. All the widgets in the collection are highly customizable, with unlimited colors and over 1500 icons. 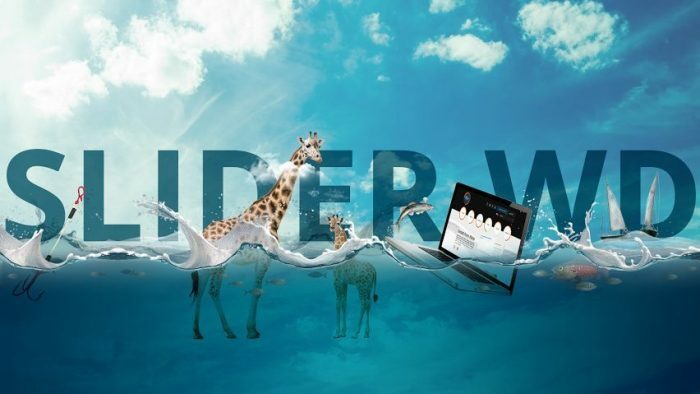 The collection is updated frequently but the widgets they offer so far include image and video widgets, Google Map widget, Slider widget that supports images and HTML5 videos, Headline widget, Social links widgets, etc. Check them all out and pick the one that is a good fit for you. I noticed that organizing events on websites have recently gained a widespread popularity. Well, this is a great way to get engaged with your audience and spread awareness about your website. As you see the events you organize spin up and the audience attending your events grows, make sure no one is missing them out. 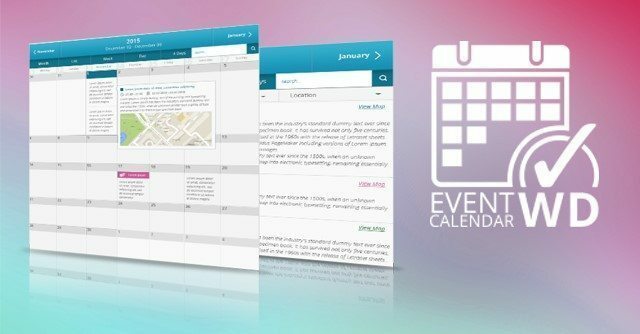 Event Calendar is the most feature-rich event managing WordPress plugin that you could think of. It has all the features and functionalities to help you to display events within your website in the best way. You can create events, add tags and categorize them, provide a detailed description of events, as well as about the organizers. The venues of the events can be mentioned on the calendar and marked up on Google maps. Your website visitors also have the possibility to search for events on your calendar and share them on social media networks. It has four modes for displaying the events, you just have to choose the most suitable one for you. Writing regularly is probably the best thing you can do for your readers. As you write regularly, your posts archive grows, and a lot of great content is left behind. 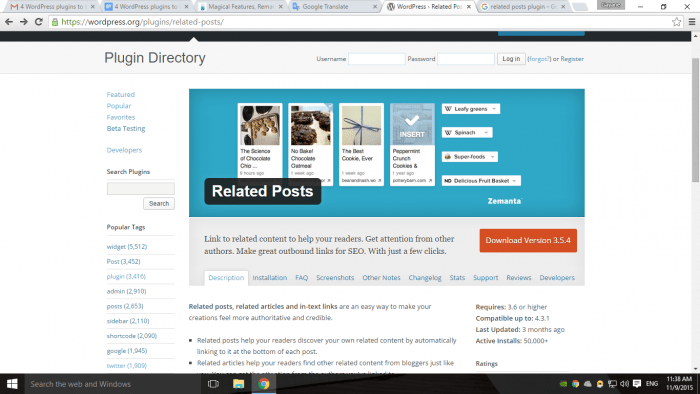 In order to show all of your content to your website visitors and make sure they are not missing any of your posts, Related Posts plugin comes to help. Suggesting related posts to your readers is a great way to show other posts on your website and increase user engagement at the same time. With WordPress Related Posts plugin this would be extremely easy. Just select the posts you want to be suggested at the footer of your content and let the visitors read the ones that most interest them. There are different customizable styles for related posts and thumbnails at your disposal to attract more attention. It is crucially important to show your content in a way that shows its real value, quality and meets the expectations of your website visitors. Always pay attention on how you deliver your content, and make sure to do it in the most efficient way. In case you have any questions about the above top WordPress plugins for content showcase or think I missed something you find useful, please leave a comment below and let me know about it. personally I prefer to use Yet Another Related Posts Plugin (YARPP) for displaying related content. It’s easier to customize via templates. Will check YARPP as well. Thank you for the comment.